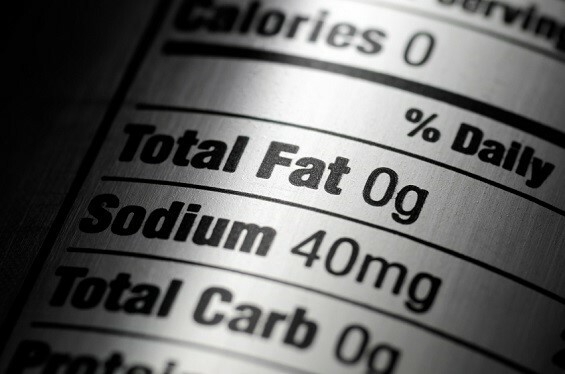 The New U.S. Dietary Guidelines for Sodium: What about MSG? Yes, it is difficult to figure out how 2,300 mg of sodium adds up in your daily diet. That is why consumers are often confused. However, you can always refer to the Nutrition Facts panel on foods to see how much sodium is in a particular product. Because sodium is found in so many foods, careful choices are needed in all food groups to reduce intake. The top sources of sodium in the U.S. diet include breads and rolls, deli meats, pizza, poultry, soups, sandwiches, cheese, rice and pasta dishes, seafood dishes, meat mixed dishes (such as meatloaf with tomato sauce), and savory snacks. Most of us like salt – it’s one of our basic tastes and often adds a “zip” to foods. But there is a way to reduce sodium in many foods without compromising enjoyment. It’s by adding (yes, adding) another sodium-containing ingredient: monosodium glutamate (aka MSG). Here’s the trick: When preparing stews or broths or sauces, play around with cutting the table salt by about a third to a half. Then sprinkle in just a little MSG. You’ll be surprised. A small amount of MSG, coupled with a little salt, enhances the flavor of many foods that would otherwise be bland and unappealing. And I also love the umami taste that MSG imparts. In case you missed it, in my blog about veggies I elaborate on why MSG makes the taste of many vegetables come alive. Cutting table salt with MSG can reduce the sodium content of recipes by 25 – 40% with no loss in palatability, as gram-for-gram MSG contains only one-third of the amount of sodium as table salt. MSG is used at far lower levels than salt. MSG contributes only 1-2 percent of the total sodium contained in the average diet, even where it is used widely in food preparation. Using a small amount of MSG in a low sodium product often can make it taste as good as its higher salt counterpart. If you want to make many foods tastier, why not consider opting for MSG, in those instances when its savory, umami taste would be appropriate? After all, MSG is rather basic; it is nothing more than sodium and glutamate (an amino acid naturally present in many of our daily protein sources). In my opinion, MSG may be one of the best ways to help cut back on sodium intake without losing flavor and great taste. More information about how MSG can be useful in reducing sodium in the diet can be found here.